Most of the Indian households are fond of grinding chutneys and masalas at home, instead of purchasing from local stores. In order to cook your favourite chutney and masalas, you need a good quality mixer and grinder which can easily grind the tough spices like turmeric and ginger in seconds. 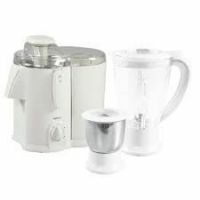 If you are looking for juicer, mixer and grinder, you can find a wide range of products on DealsCorner. We have products from all major stores like Flipkart, Shopclues, Infibeam, Amazon and many more on the single platform. Since many years people used stones to grind the spices or batter, for daily food. With the changing technology the mixer and grinders have also evolved. With the latest grinding appliances your cooking tasks have become easier and faster. 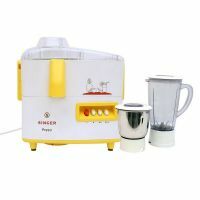 Instead of cutting, slicing, chopping and grinding manually, the juicer, mixer and grinders save your time and energy. Whether it is fruit juice, soup, slicing vegetables, grinding spices or any task, it can be done within minutes by just few clicks of the buttons. 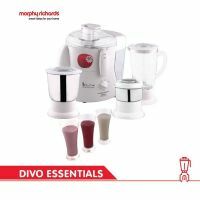 The mixer, grinder and juicer appliances are powered with high power motor and blades consume electricity to perform the tasks. 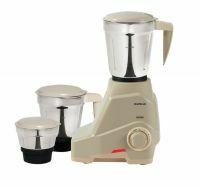 There are wet and dry grinding machines which can be used for processing the batter for dishes like Dosa, Idli and Vada, while you can also use the units for grinding dry dishes like spices. 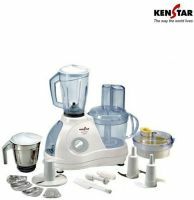 The juicer, mixer and grinding appliances are available in different shapes, sizes, designs and sets of jars depending on the model and make. The capacity of the wattage differ model-to-model in the juicer, mixer and grinder appliances. More the wattage, better is the performance. Apart from ease of use, it is also easy to clean. 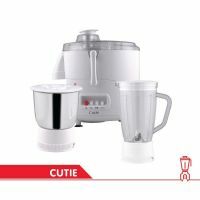 Most of the mixer, juicer and grinder units have speed control knob which helps in grinding the ingredients in the appropriate level. 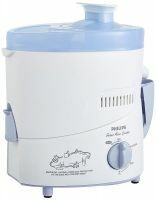 The speed control knob is used to control the rotation of the blade inside the jar which is attached with the appliance. Some food ingredients need to be mashed while should be sliced, so using the speed control, you will be able to maintain the finishing of the food. While choosing the mixer, one should check the number of jars available with the unit, by which you can process multiple dishes at the same time. You need to also check the safe features like overload or locking system, because the juicer, mixer and grinder consume high amount of electricity and it can heat easily within few minutes. The overload function shuts the motor automatically once the unit has reached the optimum heat level. You will be able to use the unit once it has cooled down. Also check the locking system of jars so that while grinding the food is spilt all over. Also check the length and thickness of the cord, so that you don’t have to use additional extension cable to connect to the power outlet. There is a wide range of appliances available in the market from low to high price range. Before choosing the appliances, look for all the models and features available in the market. 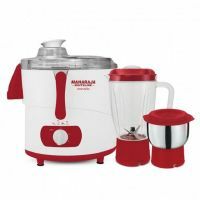 You can find all sorts of juicer, mixer and grinder from famous brands like Prestige, Bajaj, Morphy Richards, Philips, Maharaja, and many more on DealsCorner. You will also find products from all major online stores by which you can easily compare the products and prices offered by the various stores. Instead of visiting different sites, DealsCorner offers you the flexibility of comparison by which you can find the product of your interest in the lowest price range available in India. Enjoy your shopping and keep posting your reviews.